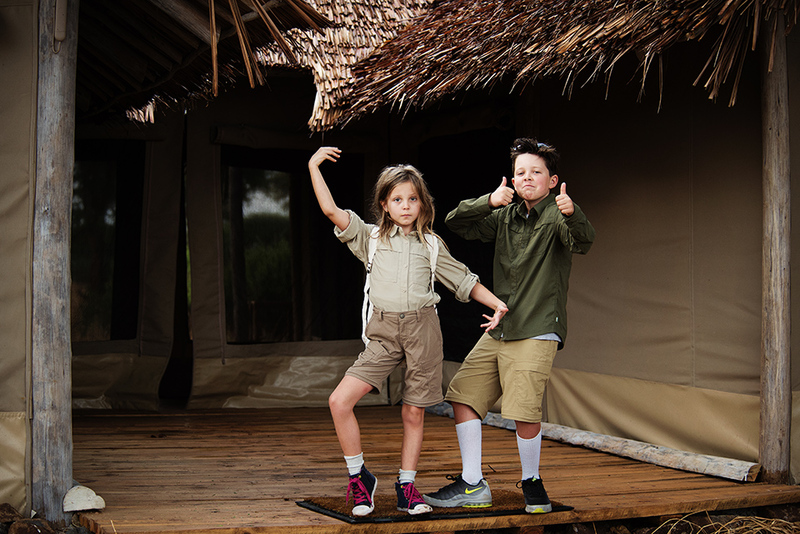 Taking a safari with young kids sounds like a daunting task. Long flights, strange foods and a totally different culture really puts off some parents. I have parents call me all the time and tell me that the thought of navigating somewhere as close (in distance and culture) as Mexico seems insurmountable to them. Don’t even talk to them about an Tanzanian safari. But it’s not, I promise! If you plan a trip with someone who has experience in the location, great contacts in that location and confidence that they can give you a great trip, I promise you can do it! 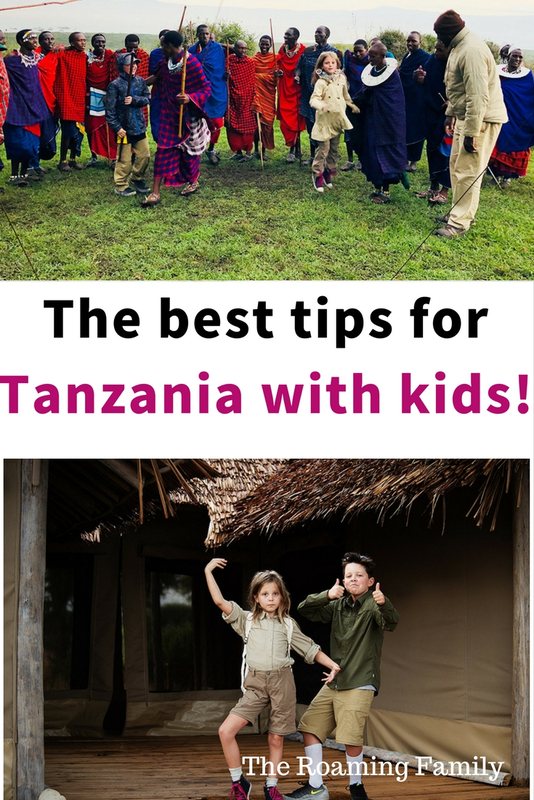 Here are some of my tips for navigating Tanzania with kids. Of course Tanzania will be different. It’s a world away, on a huge continent with numerous different cultures and, to be frank, a developing nation. Trips with young kids to places that are different are soooo much easier when families embrace the differences, rather than harbor fear about those differences. Learn about the destination. We looked at it on a globe, read about how long the flight would be, talked about how the food wouldn’t be like ours. We warned the kids that there probably wouldn’t be pizza on demand and chocolate milk might be unheard of. We discussed the language of Swahili and I warned them that the roads would be bumpy and not like the streets of Denver. All this really prepared the kids for what to expect and we all know that kids like to know what to expect. Kids don’t like surprises. And our kids weren’t surprised at all when a completely unrecognizable plate of food was put in front of them. Did they whine? Sure. But they were prepared. If you’re truly worried about food, bring some extra snacks. Granola bars saved us a couple of times. We’re as guilty as the next parent for letting our kids use electronics too often. While neither of them have their own phone or iPad yet (they’re 8 and 11), they use our old phones to play with when we’re home and in a wifi zone. 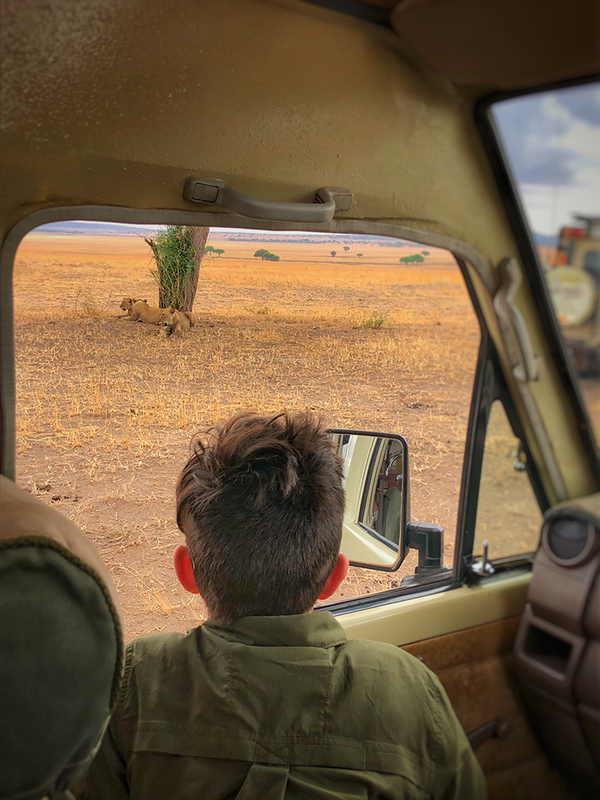 When planning our trip to Tanzania, we knew that there were going to be times when we had to rely on electronics a little more than we are comfortable with. Combine the long flight with the driving distances between camps and that leaves a lot of time for a kid to be “bored”. Rather than getting ipads or an iphone, we bought the kids Amazon Fire Tablets. Not too expensive, a Fire the ability to house games, drawing applications and books. Books are available from Amazon to go straight onto the tablet. 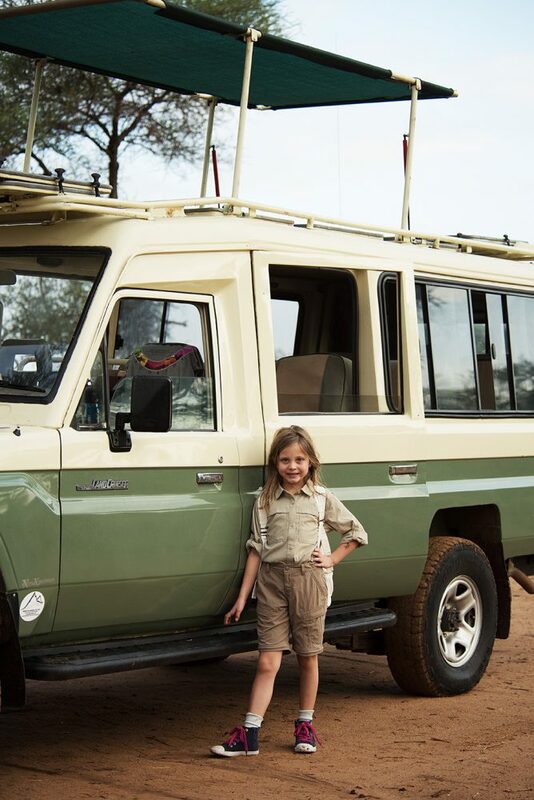 Our kids read several books when driving between camps and even during times on game drives. Game drives can be long and sometimes you go an hour without seeing anything so having something to entertain young children is imperative. Those tablets definitely saved us on several occasions. 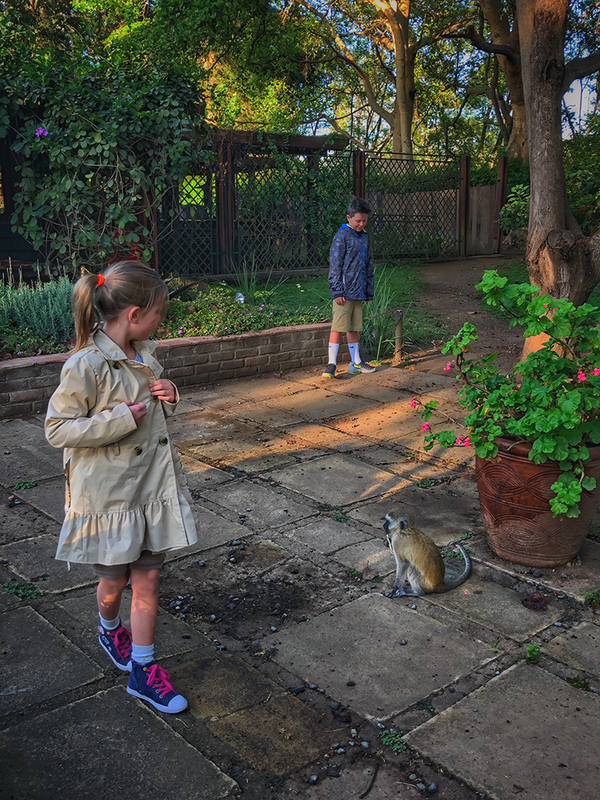 Don’t expect your kiddo to be fascinated with every tree, bush and bird they see in between the exciting stuff like lions – it’s not in their nature. Don’t fight it and do what works for you on a safari. Kids want to feel special. 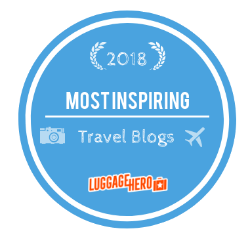 When we planned our trip, we involved them and got their opinions on what they wanted to do. We hadn’t really thought about adding on a beach to our trip, but the kids mentioned a beach. With a pool. Which sounded like the typical family vaca to me and didn’t sound super exotic. But we listened to them and tried to make part of the trip about them. Turns out they had a great idea, because the Zanzibar portion of our trip was fantastic. And during our time on Zanzibar, we only did one tour, and we made it short because we knew the kids were simply “toured out”. They just wanted to play in sand and jump in a pool. 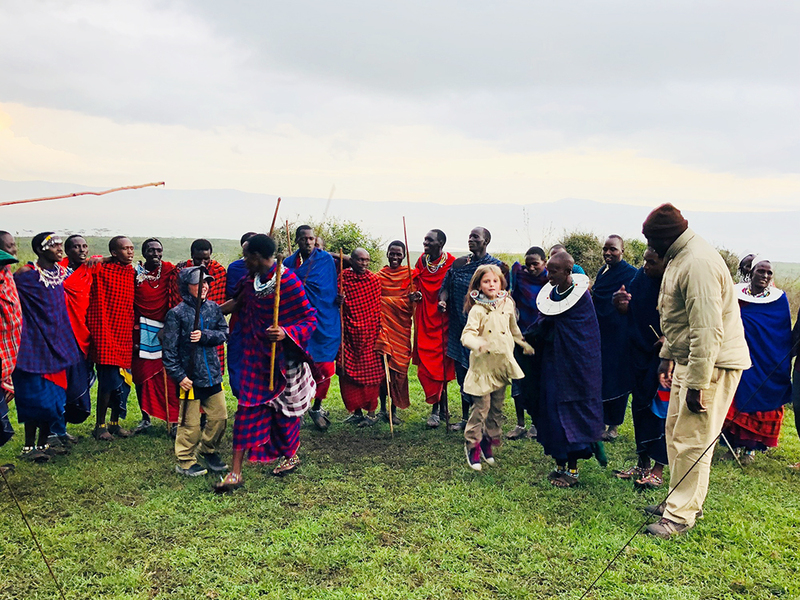 Additionally, when we planned our entire trip, we made it clear with my suppliers in Tanzania that we had kids and we wanted them to be excited and happy about the trip. It wasn’t all about us. And we made sure we had an awesome guide, who had kids himself and had plenty of experience with kids. I can’t stress this enough. Plan everything from the second you land to the second you leave. 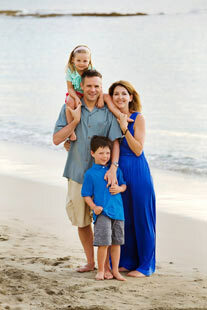 This goes outside of many family’s comfort zones.Many families decide on a Mexican or Caribbean vacation, buy some tickets on Expedia, and spend a whole week sitting around a beach and maybe going out to dinner at night. In Tanzania, families don’t just wing it. There’s no hopping off a plane and hailing a cab to find your resort. 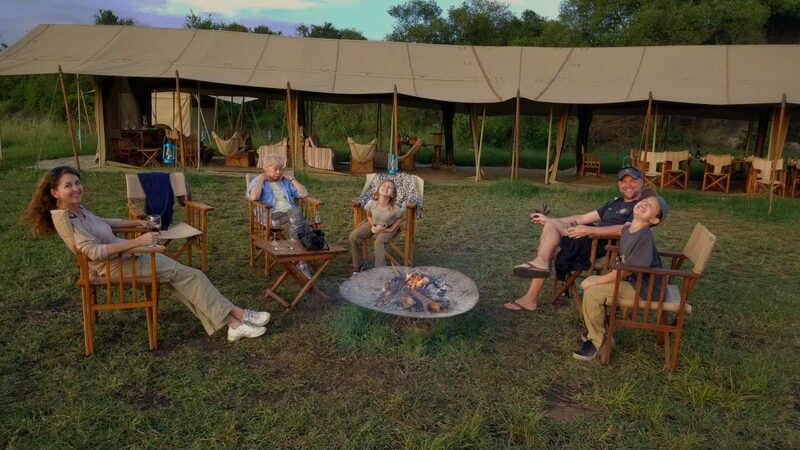 Every person on a Tanzanian safari is there with a tour operator – whether it’s a 3 star experience or a 5 star experience. Families need someone to meet them at the airport and help them navigate getting a Visa. Navigate the crazy baggage system and Xray-ing of luggage. Find their way outside for their ride through the crowds of people. It’s very chaotic and it’s really really important for a family with young children to have someone to advocate for them. Nobody wants to deal with a whiney child whole trying to figure out the airport bureaucracy. If you’re thinking of going on an African safari, whether it’s Tanzania or another country, I can help! Contact me at mdownham@departurelounge.com and we can chat!